The Mass Sleep Out against the Bedroom tax – Leeds, 24 August, 7 p.m. Tomorrow, Saturday 24 August, there will be a Mass Sleep Out to protest against the Bedroom Tax. The aim is to synchronise events across the country – to raise awareness of impending mass homelessness which the Bedroom Tax will produce. Thousands will be protesting. There are local events in Wakefield and in Leeds. Here in Leeds people will be meeting at 7 p.m. – outside the Art Gallery. You can get details, and sign up to show you’ll be going here. Alex Sobel, Labour’s Parliamentary Candidate for Leeds North West, will be there at 8 p.m. – to show his solidarity. Alex, along with Neil Walshaw, Councillor for Headingley Ward, is a long-standing campaigner against the Bedroom Tax. Alex Sobel has hit the ground running after his selection as parliamentary candidate for Leeds North West. On Saturday evening he was at the Big Iftar at the Makkah Mosque in Hyde Park, an Open Mosque evening. The mosque donated parcels of food/hampers to charities serving homeless people and will be raising funds for a local children’s charity during Ramadan. 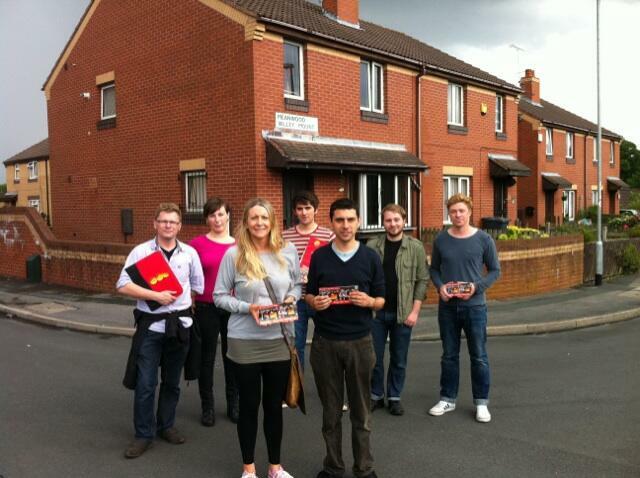 In the afternoon, Alex was out door-knocking and contacting local people in Meanwood. And it was there that he met Paul. Keith Wakefield, Leeds Labour Leader – on poverty, the wicked Bedroom tax, and power to the North. Unless you are an avid reader of the Online Guardian, you probably missed this interview with Keith Wakefield – Labour Leader of Leeds City Council – which appeared in its Professional section this week. If so, that’s a shame, and you should make sure to read it in full. The autobiographical bits are revealing. Keith Wakefield has come up the hard way – in care in Birmingham as a boy, he’s a man who has experienced poverty first hand. He knows what it’s like to sleep rough, or be jobless. Perhaps it’s experiences like this which have made him such a committed fighter against this Coalition’s welfare reforms. 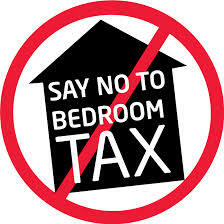 Leeds has been at the forefront of the struggle against the Bedroom Tax. His understanding of what the Coalition Government’s policies are doing to the poor comes across strongly.